CINCINNATI -- The beauty of the moon, scrumptious food and an age-old culture will soon take center stage on Fountain Square. 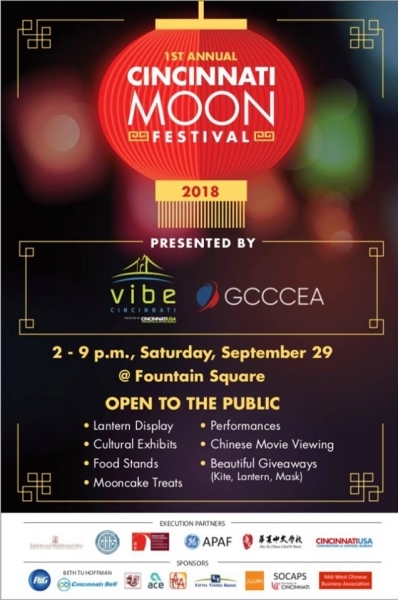 On Saturday, the Cincinnati Moon Festival will bring one of the biggest celebrations in Chinese culture to the Queen City. The festival, a first for the city, celebrates the Mid-autumn Festival (中秋节), the second largest celebration in the Chinese culture -- second only to Chinese New Year. It is traditionally celebrated on the 15th day of the eighth month in the Chinese lunar calendar -- which corresponds to Sept. 24 this year -- when the moon is at its fullest and brightest. All around the world, moon-gazing is the activity of choice. In Chinese communities, it is also a time for friends and family to reunite, share a meal and relish the parade of luminous lanterns. "We wanted to find an authentic way to celebrate the Chinese culture in Cincinnati," said Jason Dunn, vice president of Multicultural & Community Development at the Cincinnati USA Convention and Visitors Bureau. "The Moon Festival, or Mid-autumn Festival, is one of the biggest festivals in the Chinese culture, so it seemed like the perfect fit to host a local Moon Festival event to create that sense of cultural celebration." The festival stems from the collaboration between Vibe Cincinnati and the Greater Cincinnati Chinese Cultural Exchange Association (GCCCEA), along with a host of sponsors and partners. They include P&G, Fifth Third Bank, Cincinnati Bell, Greater Cincinnati Chinese Chamber of Commerce and area Chinese language schools. Vibe Cincinnati is a platform of the Cincinnati USA Convention and Visitors Bureau that looks to amplify the region's multiculturalism through diverse, immersive experiences. "Our relationship with the Chinese community has been developing throughout the last year," Dunn said. 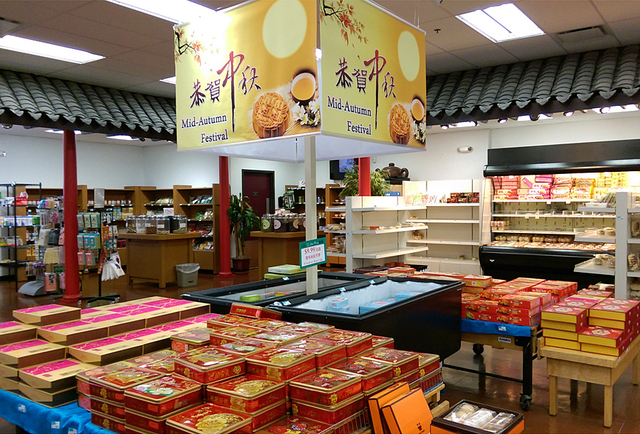 "We've been focusing specifically on the Moon Festival for the last few months." The event will feature cultural exhibits, interactive activities, performances by local Chinese artists, and mooncake sampling . Kids can also try their hand at making kites, masks and lanterns. Dr. Yumin Zhao, Acting Consul General of the Chinese Consulate General in New York will attend the festival and deliver remarks at the inaugural event at 4:45 p.m.
Food vendors such as Uncle Yip's, Oriental Wok and Kung Fu Tea will offer a lineup of food and drink that includes dim sum -- hors d'oeuvre-like fare typically served at Chinese brunches. Food prices will range from roughly $2 to $15. The festival will turn magical at dusk with a lantern parade around Fountain Square. "Lanterns are definitely a significant symbol … because they bring the beauty and light of the moon to Earth," said Felicity Tao, a founding member of the GCCCEA. "In Chinese philosophy, the circle means perfection and harmony. That's the shape of the moon and of many lanterns." The lineup of performers include the Chinese Traditional Music Ensemble, the Sound of Joy Choir, the Bing Yang Performance Art Center, the Joy Flower Music Center, Ming Ke, Feng Shuo Instruments Studio, and Seven Star Tai Chi Club. "The show promises an intimate encounter with the Chinese performing arts," Tao added. At seven o'clock in the evening, festival-goers will be treated to a family-friendly Chinese movie called "37." "We thought films are an important aspect of a country's contemporary culture, and our event offers a great venue to show a Chinese movie to those who are interested in experiencing Chinese culture through that lens," Tao said. "Execution partners" will assist with the festival by providing volunteers throughout the day. The partners include the Hua Xia Chinese School, GE APAF and the Greater Cincinnati Chinese School. "Our execution partners have contributed many creative ideas and connected the event to various resources," Tao said. This pilot festival is a starting point for the organizers, who say they are in it for the long haul. As they move forward, they will assess the event to make sure it is impactful and that the community is involved. Dunn said they want to invite people from throughout the region to come downtown and to experience Cincinnati in a way that encourages a strong, culturally diverse community. "The Cincinnati USA CVB is actively working to make Cincinnati a welcoming, inclusive destination for all, which includes all races, nationalities, cultures and walks of life," Dunn said. "With this event, and others in the future, we have the opportunity to prove that Cincinnati is a prepared and welcoming destination as we move into the future." Cost: Free to attend; food available for purchase.